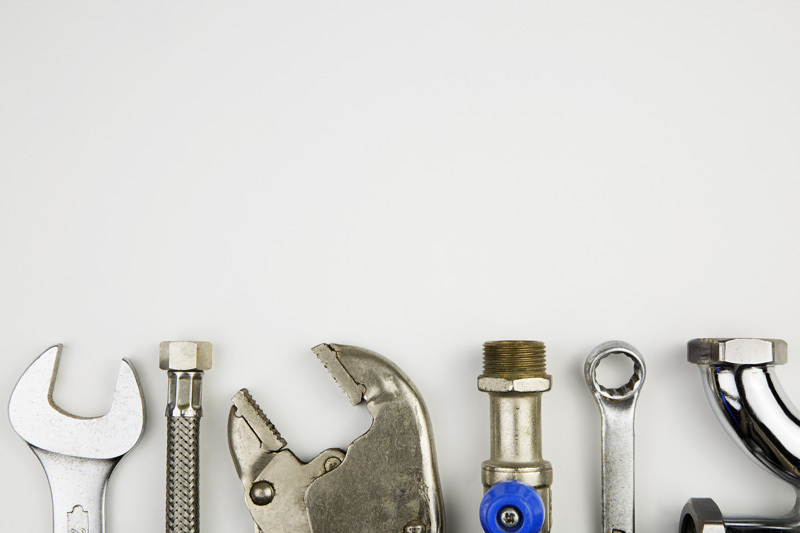 To determine if your plumbing is noisy, it is important to consider first whether the unwanted sounds occur on the system’s inlet side; in other words, when water is turned on-or on the drain side. Noises on the inlet side have varied causes: excessive water pressure, worn valve and faucet parts, improperly connected pumps or other appliances, incorrectly placed pipe fasteners, and plumbing runs containing too many tight bends or other restrictions. Noises on the drain side usually stem from poor location or, as with some inlet side noise: a layout containing tight bends. Hissing noises that occur when a faucet is opened slightly generally signals excessive water pressure. Consult your local water company if you suspect this problem; it will be able to tell you the water pressure in your area and can install a pressure reducing valve on the incoming water supply pipe if necessary. A thudding noise, often accompanied by shuddering pipes, when a faucet or appliance valve is turned off is a condition called water hammer. The noise and vibration are caused by the reverberating wave of pressure in the water, which suddenly has no place to go. Sometimes opening a valve that discharges water quickly into a section of piping containing a restriction, elbow, or tee fitting can produce the same condition. 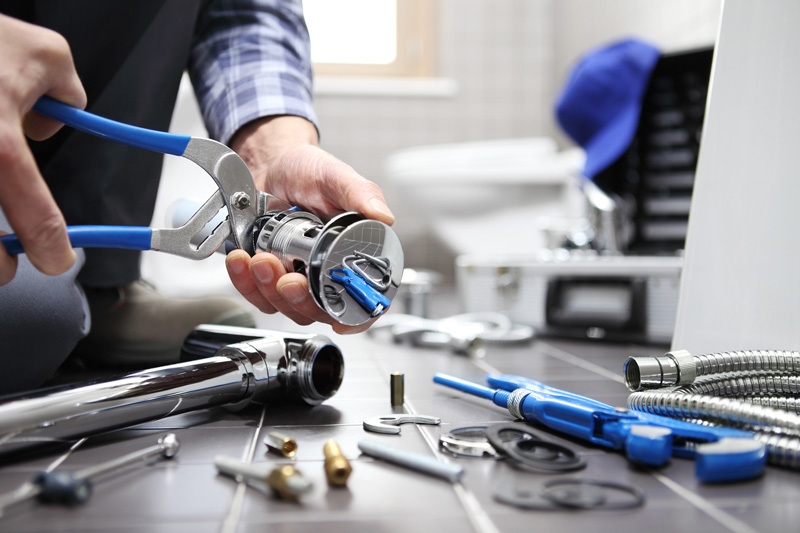 Water hammer can usually be cured by installing fittings called air chambers or shock absorbers in the plumbing to which the problem valves or faucets are connected. These devices allow the shock wave created by the halted flow of water to dissipate in the air they contain, which, unlike water, is compressible. Older plumbing systems may have short vertical sections of capped pipe behind walls on faucet runs for the same purpose. These can eventually fill with water, reducing or destroying their effectiveness. The cure is to drain the water system completely by shutting off the main water supply valve and opening all faucets. Then, open the main supply valve and close the faucets one at a time, starting with the faucet nearest the valve and ending with the one farthest away. 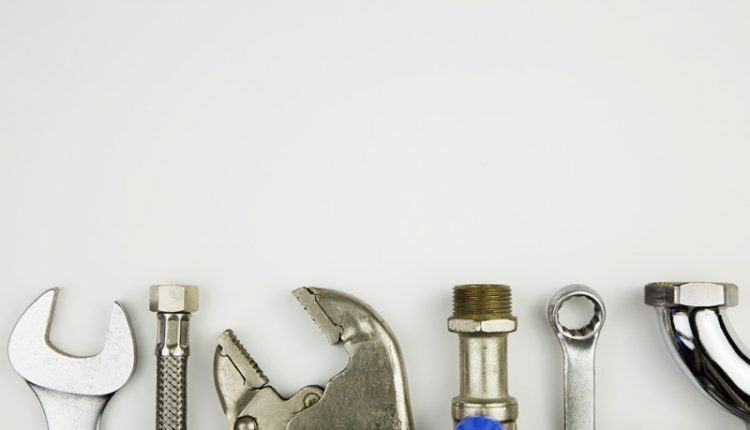 Intense chattering or screeching that occurs when a valve or faucet is turned on, and that usually disappears when the fitting is opened fully, signals loose or defective internal parts. The solution is to replace the valve or faucet with a new one. Pumps and appliances such as washing machines and dishwashers can transfer motor noise to pipes if they are improperly connected. Link such items to plumbing with plastic or rubber hoses-never rigid pipe-to isolate them. 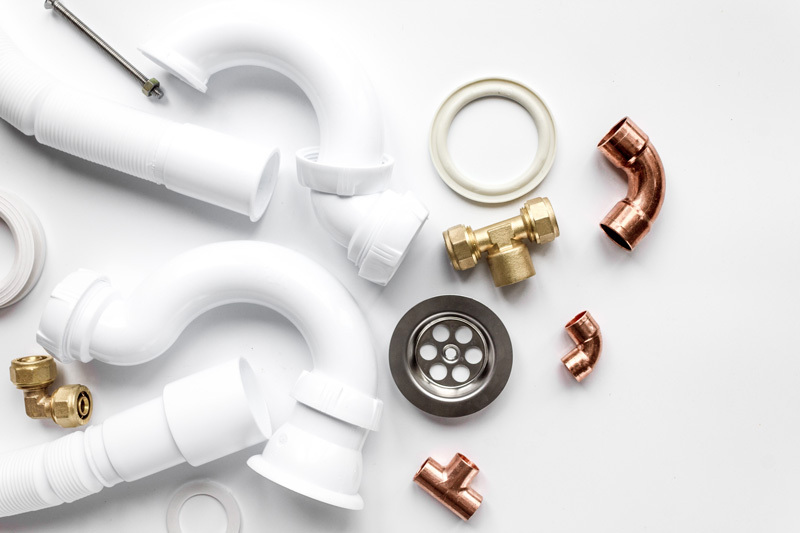 Creaking, squeaking, scratching, snapping, and tapping usually are caused by the expansion or contraction of pipes, generally copper ones supplying hot water. The sounds occur as the pipes slide against loose fasteners or strike nearby house framing. You can often pinpoint the location of the problem if the pipes are exposed; just follow the sound when the pipes are making noise. Most likely you will discover a loose pipe hanger or an area where pipes lie so close to floor joists or other framing pieces that they clatter against them. Attaching foam pipe insulation around the pipes at the point of contact should remedy the problem. Be sure straps and hangers are secure and provide adequate support. Where possible, pipe fasteners should be attached to massive structural elements such as foundation walls instead of to framing. Doing so lessens the transmission of vibrations from plumbing to surfaces that can amplify and transfer them. If attaching fasteners to framing is unavoidable, wrap pipes with insulation or other resilient material where they contact fasteners, and sandwich the ends of new fasteners between rubber washers when installing them. 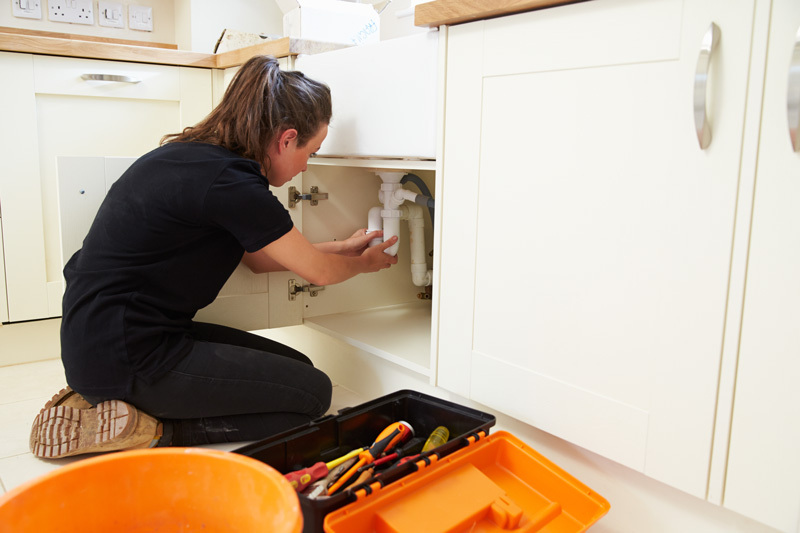 Correcting plumbing runs that suffer from flow-restricting tight or numerous bends is a last resort that should be undertaken only after consulting a skilled plumbing contractor. Unfortunately, this situation is fairly common in older houses that may not have been built with indoor plumbing or that have seen several remodels, especially by amateurs. 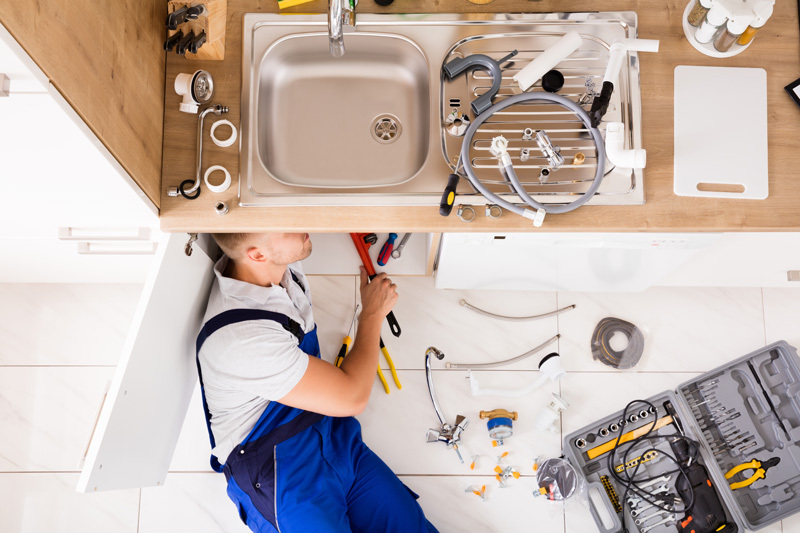 On the drain side of plumbing, the main goals are to eliminate surfaces that can be struck by falling or rushing water and to insulate pipes containing unavoidable sounds. In new construction, bathtubs, shower stalls, toilets, and wall mounted sinks and basins should be set on or against resilient underlayment to reduce the transmission of sound through them. Water-saving toilets and faucets are less noisy than conventional models. Install them instead of older types even if codes in your area still permit using older fixtures. Drainpipes that do not run vertically to the basement or that branch into horizontal pipe runs supported at floor joists or other framing present particularly troublesome noise problems. Such pipes are large enough to radiate considerable vibration. They also carry significant amounts of water, which makes the situation worse. In new construction, specify cast-iron soil pipes (the large pipes that drain toilets) if you can afford them. Their massiveness contains much of the noise made by water passing through them. Also, avoid routing drainpipes in walls shared with bedrooms and rooms where people gather. Walls containing drainpipes should be soundproofed as was described earlier, using double panels of sound-insulating fibreboard and wallboard. Pipes themselves can be wrapped with special fibreglass insulation made for this purpose.